The Haven Stackable End Tables bring practical storage in a rustic, farmhouse style package. 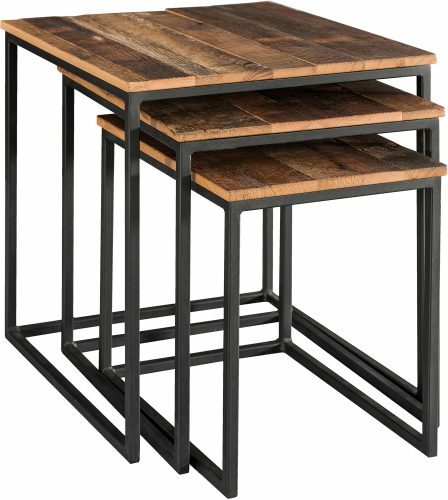 Rugged reclaimed barn wood tops and powder coated black steel bases balance the simple, sleek design of these end tables. 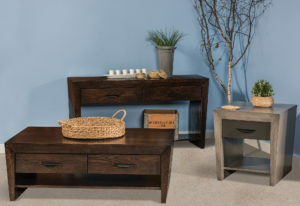 These three end tables are independent pieces, however they can also nest and store together as a set. 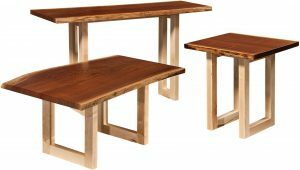 So, the Haven Stackable End Tables are a fantastic choice for small and large living spaces alike! Make your selections from the extensive list of custom options and request your personal quote. Of course, you are always welcome to visit our store in Shipshewana, Indiana if you’d like to put hands on our exquisite products or simply need inspiration. Please do not hesitate to contact us, if you have any questions at all. We look forward to providing you with your custom Amish furniture!